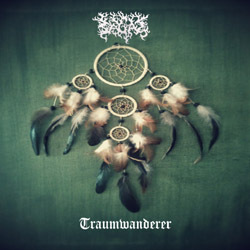 Atmospheric progressive black metal band Sagas from Heppenheim, Germany has recently released its debut EP “Traumwanderer“. Sagas were formed in the beginning of 2013 and this is the first official release of the band. “Traumwanderer” includes 5 tracks and its total duration is almost 29 minutes. The band plays atmospheric black metal, with a progressive metal touch and a “dry” synth-free sound that is enriched by warm acoustic guitars. Every song of the EP tells a little “story” that create a concept as a whole. All in all, it is about a nameless character, who enters the wide world and has to deal with things like loss, treachery and sorrow. After his return he realizes that these events made him a different person. Since April 18th 2014, the EP is available digitally in the band’s official Bandcamp page that you can visit following the links below. It will also be available in physical jewel case CD, including booklet with lyrics, self-released by the band hopefully in May 2014.